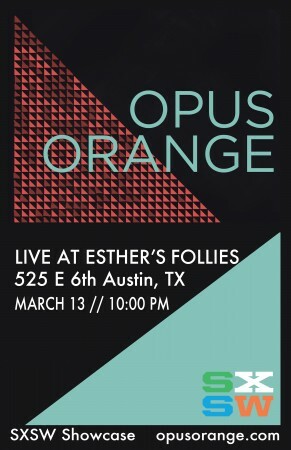 Emoto Music » Opus Orange Live @ SXSW Today! Opus Orange Live @ SXSW Today! Opus Orange is gearing up to perform as an official showcase band at SXSW tonight! If you are in the area, please come, join the fun, and show your support!